My husband and I both kickstart our mornings with a cup of coffee. It’s probably no surprise that I also enjoy coffee-infused desserts and chocolate candies. So when we were in Bali and heard about this particular type of coffee, we knew we must try it and buy some of it too! Our 200-gram package of Kopi Luwak coffee beans from Bali. 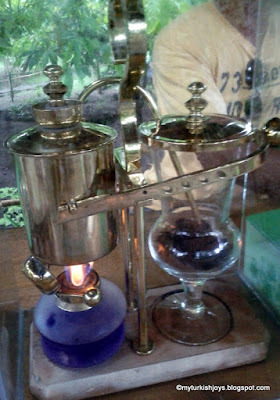 Kopi (the Balinese word for coffee) Luwak is one of the most expensive and rare coffees in the world. (I used to think Jamaican Blue Mountain coffee was pricey at $40/pound!) Why? The reason is because of these two cute critters in this photo. 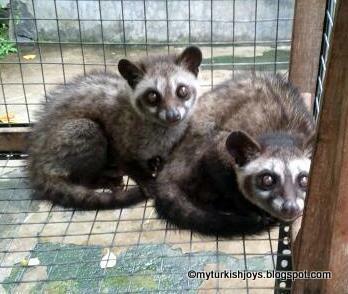 The civets may look adorable, but I was warned not to get too close to the cage. Kopi Luwak is produced from the beans of coffee berries that have been eaten by the Asian Palm Civet and other related civets and then passed through their digestive tracts. These furry mammals eat the berries for their fleshy pulp, the berries get broken down in their stomachs and then come out the other end. Yep, the processed coffee beans from the civets’ “droppings” are harvested by hand by the Balinese (and in other Southeast Asian areas), rinsed thoroughly, dried, roasted and packaged just for other coffee lovers around the world! Well, the process may not sound appealing, the resulting cup of coffee brewed from these beans is aromatic, smooth and tasty! 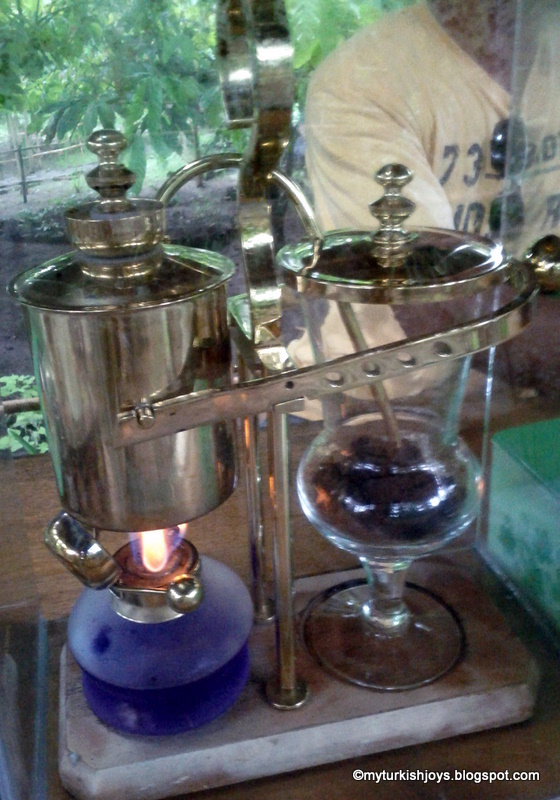 Jason tried two cups of of Kopi Luwak during our recent vacation. I took a few sips as I like my coffee more milky and sweet than dark and strong. Cost: 50,000 IDR per cup or just $5.50 USD for about two-espresso shots worth. 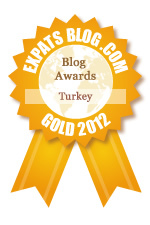 the Turkish kave experience here. Outside of Ubud, Bali, our taxi driver stopped at a small family-run shop that processes the coffee beans. I don’t know the name of the place, but it’s located in Sukawati, Gianyar, Bali. This is where we saw the cute civets, pictured, in cages - put on display for the tourists, I’m guessing - and bought our “poop” coffee. Our 200-gram package of Kopi Luwak cost a whopping 420,000 IDR or $46 USD. At that rate, a whole pound of this fancy Balinese coffee would cost $103.50! Yikes! As a foodie, I’m glad we tried this rare coffee and learned about something new. But for now, I think I’ll stick with buying our $9/pound Starbucks coffee beans here in Istanbul! Has anyone else tried any of the world’s most expensive coffees? i have never had the chance to try this but i am very familiar with it. i just can't figure out how someone looked at poop and thought...how can i turn this into coffee. i can sort of understand the first person that ate a lobster. but how do you see coffee coming out of poop?